The Patrol Division of the FLPD is the largest division of the Department, consisting of 37 personnel. It is staffed by Patrol Officers who work 12 hours shifts, 24/7/365. Patrol Officers can be counted on for a rapid response to life threatening emergencies and serious incidents, and to work quickly to restore calm and order once they arrive. Other less critical calls are prioritized and handled in an efficient manner. Patrol Officers respond to crimes in progress, emergency medical situations, traffic accidents, and hundreds of other types of calls for service. 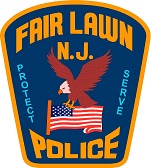 Patrol Officers make arrests for the entire spectrum of the New Jersey Criminal Code from 1st degree crimes to petty disorderly persons offenses and Driving While Intoxicated offenses.